Designed by Emery Roth and completed in 1926, the building had a very large and very elegant lobby with a long, wide corridor with carved plaster ceiling and marble mosaic panels set into pilasters. The first floor contained a very large dining room that originally was designed in Pompeian style with a sunken garden. Over the years, this room was converted for catering and often was used for wedding parties. 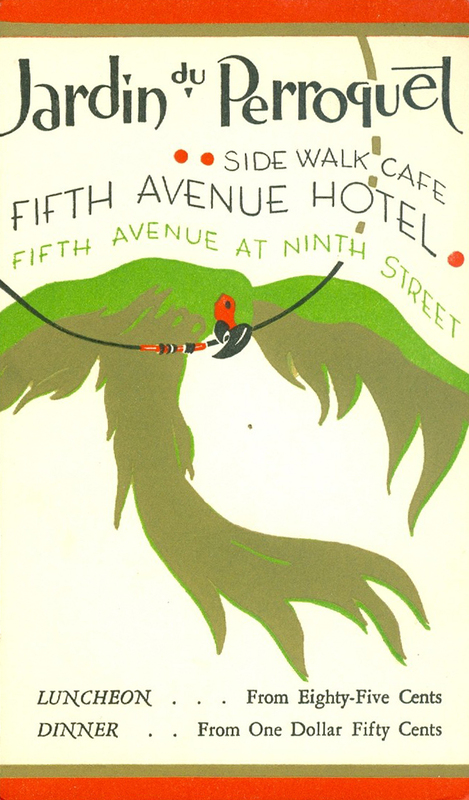 The 9th Street corner was converted for restaurant use and subsequently expanded into an enclosed sidewalk cafe.